We live in a world which is a Giant, Monstrous and a Puzzling mess. While I do not deny the presence of kind and sorted people here, you and I can’t ignore the fact that devilish people walk around us freely. What scares me about them is that we don’t know what kind of horrors they are capable of. Once again the education system has shamed us and raised doubts on the safety of girls in schools. It is egregious to know that teachers dare to do such ignominious acts in schools. 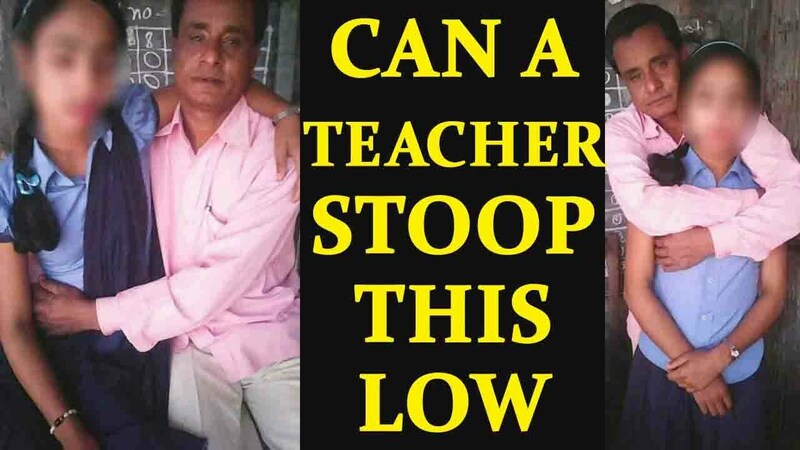 In an antagonizing accident, a teacher identified as Faizuddin Laskar, in the small town of Katlicherra in Hailakandi district, Assam takes photographs with the minor girl students of school in objectionable positions and posts online. A local channel, DY-365, reported the incident and said that Laskar is a “serial offender”. I have no words to describe for every picture that has been shamelessly taken. In the background, you can see a chalkboard which clearly suggests that this act happened in the school premises. So my question is , where were the school authorities? can been seen groping and almost kissing students which definitely make our blood boil. As evident from photos, girls look uncomfortable but there is no sign of forcing. There is no statement from girls and their families on how they ended up in doing this disgusting photoshoot and who was taking the pictures. This incident has flashed a public outrage. After the photographs went viral, girl's parents filed an FIR but as per latest news no action has been taken against the culprit. He has been interrogated but no arrest has been made. I do not know as to when and what actions will be taken against the "teacher". But it definitely raises questions on the education system. I dont understand what background check is done when such people are being hired in School. In a country where many teachers are putting their time and effort and toiling hard to shape the future of young India, these devils do nothing but bring shame. I hope justice will be done soon and this culprit be arrested and punished by law as soon as possible.